“Allahu Akbar” was the shouted sound in Liege, Belgium this morning, right before gunshots broke out. Yes, in the spirit of Islamic radicalization, there’s been another horrendous terror attack on EU soil, this time claiming the lives of two policewomen and a male bystander. The suspect was identified as Benjamin Herman, 36, who also took a female school janitor as hostage into a high school, before being shot dead by special terrorist forces. This is not the first terror attack in Belgium by any means, but it is the first in quite a while in Europe, sparking fears of further terror events similar to last year across the continent. With two police officers dead, other officers injured, and an innocent civilian murdered by the crazed terrorist, authorities in Belgium are now investigating it as a planned terror attack. At around 10:30am, a man crept up behind the two policewomen and stabbed them with a knife several times, before stealing their firearms, then proceeded to go on a shooting rampage, killing both the officers with their own guns, then killing another man in a motor vehicle who was only 22-years old. That was when special forces arrived on the scene and shot him dead, shortly after he had taken refuge in a high school with the female hostage. The hostage was lucky to survive, but the female officers were brutally slain and shot dead, as was the young driver, who probably didn’t expect to die today either. The suspect has been named as Benjamin Herman by Belgian broadcaster RTBF, who was apparently an ex-drug dealer who had been released from prison a day earlier, sparking suspicions that he had been radicalized by Islamic prisoners, which make up a fair portion of the criminals inside Belgian prisons. Radical Islam is obviously a problem inside many prisons in Europe, with Belgium not being an exception to this notion. Herman purposefully approached the two female police officers and stabbed them several times from behind, and as they fell to the ground, he grabbed their guns then shot them dead from point-blank range. After that, luckily he only managed to kill one other civilian. It could have been much, much worse. 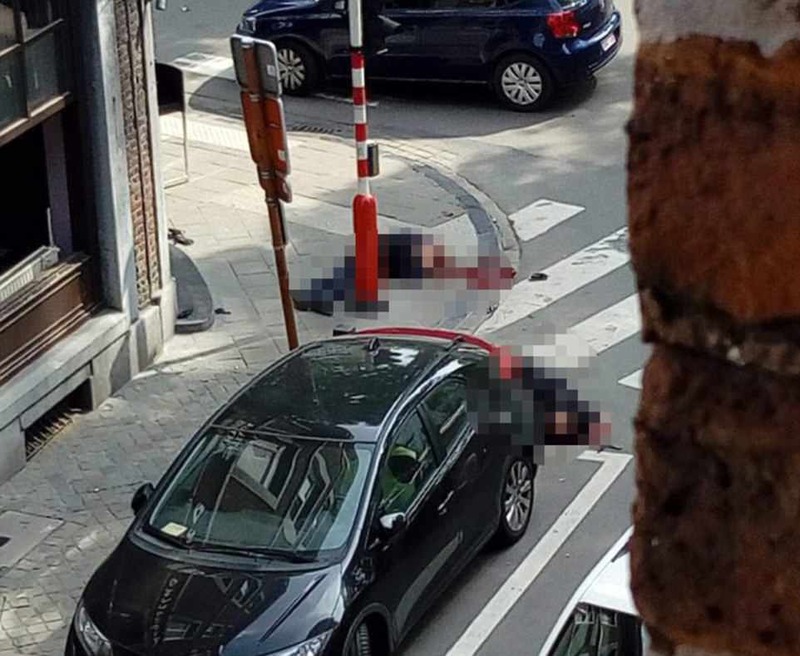 DHnet.be reported that he shouted, “Allahu Akbar!” before he stabbed the officers, which was overheard and seen by witnesses who ran for their lives, as he began firing on the Liege’s central Boulevard d’Avroy. Shots and sirens were heard as people scrambled to take cover, away from the attacking terrorist. After only minutes, anti-terror police forces arrived on the scene, and the area went into lockdown, before the suspect was shot dead. 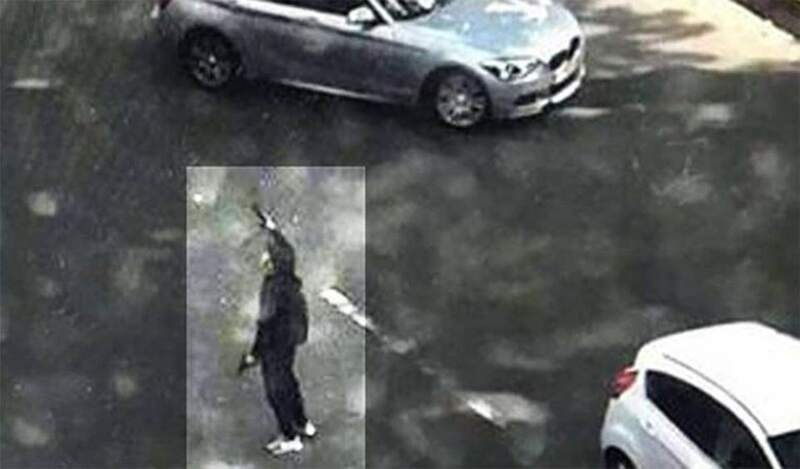 Here’s the moment, that we suspect shows the terrorist being shot down by anti-Terror police. 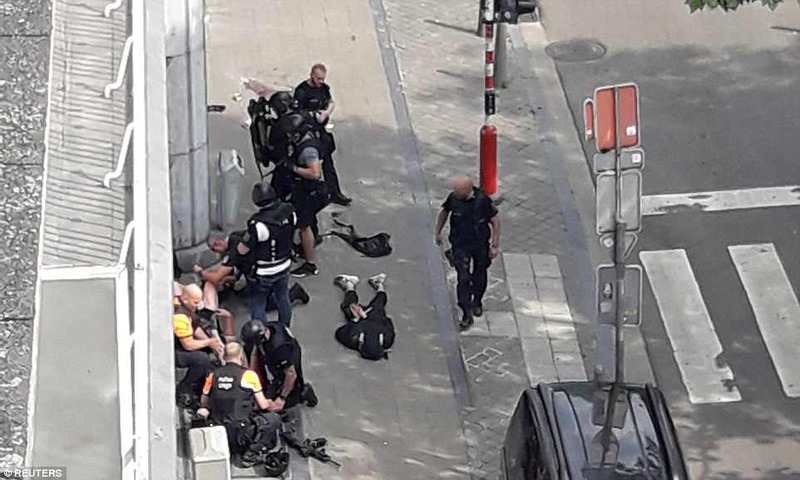 Catherine Collignon, spokeswoman for the Liege prosecutors, “confirmed four deaths in total”, and said that terrorism was the main motivation for the attack. With that, all we can say is, welcome to the European Union’s new Europe, where Islamic radicals have been let in and allowed to spread their agenda, and radicalize anyone unopposed for far too long. Emmanuel Macron and Theresa May have already condemned the attack in Liege, Belgium, over Twitter, and voiced their support for Belgium through this latest tragedy. Another sad day for Europe, which was once considered to be safe, before the migrant influx began.